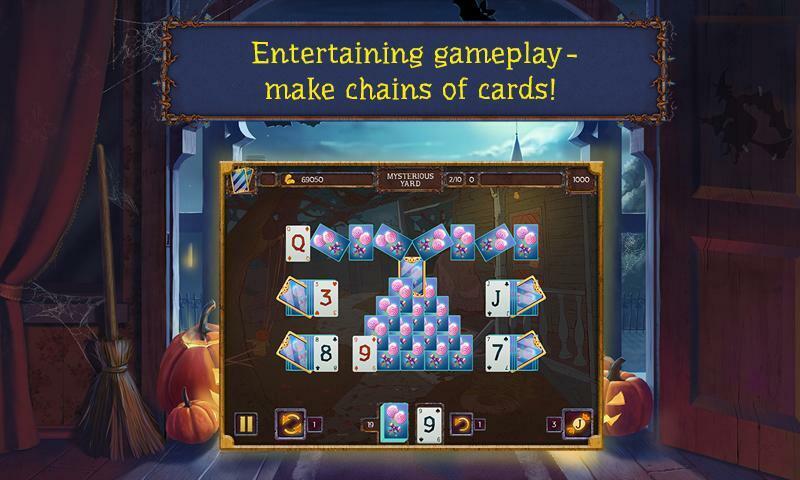 Love mysticism and puzzles?! 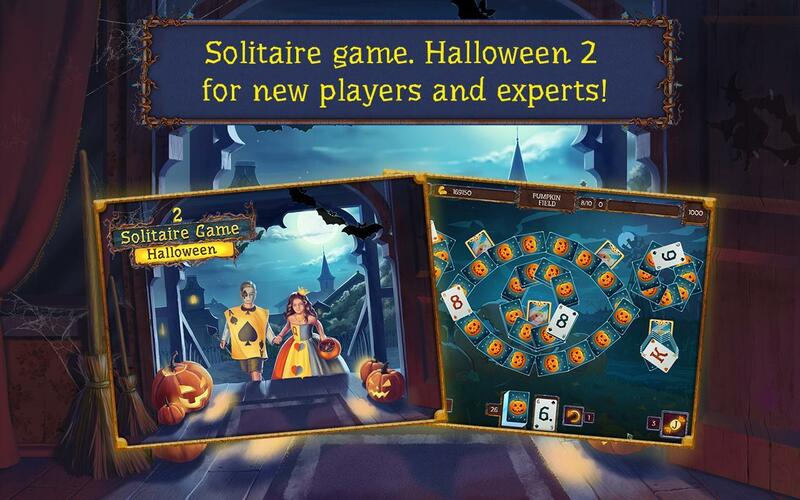 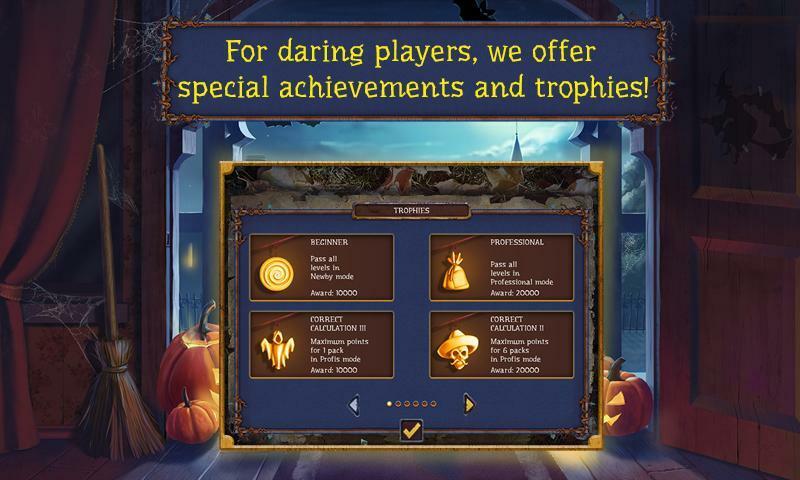 Then Solitaire game Halloween 2 is perfect for you! 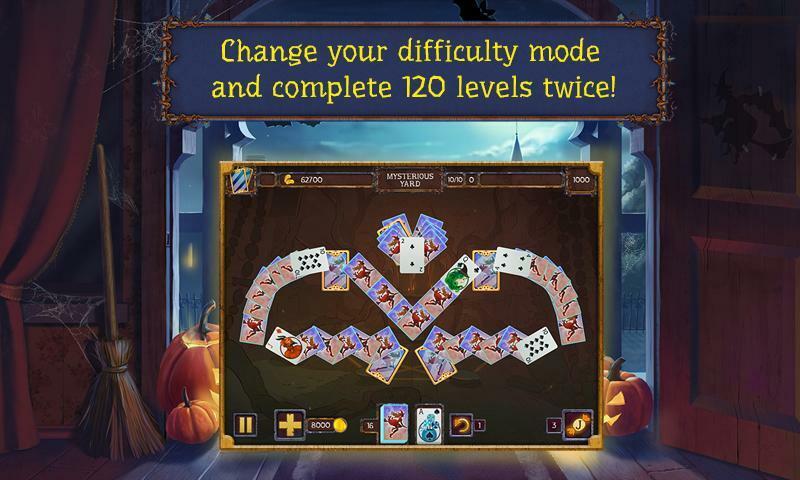 For all fans of the solitaire and perfect match genres, a gift for Halloween in the form of 120 new and unique solitaire levels! 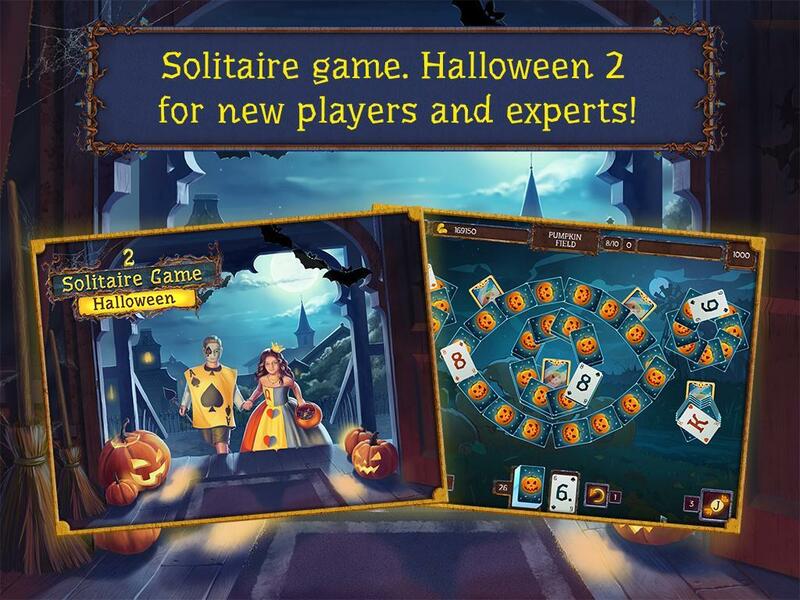 Solitaire game Halloween 2 - help the twins outplayer the owner of the mysterious house and get all the candy! 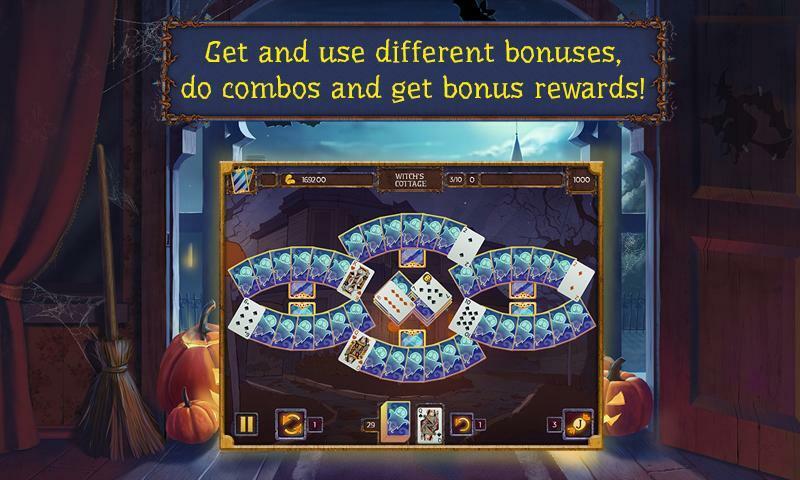 Scary stories, tricks and a unique holiday style – just what a solitaire and perfect match fan needs! 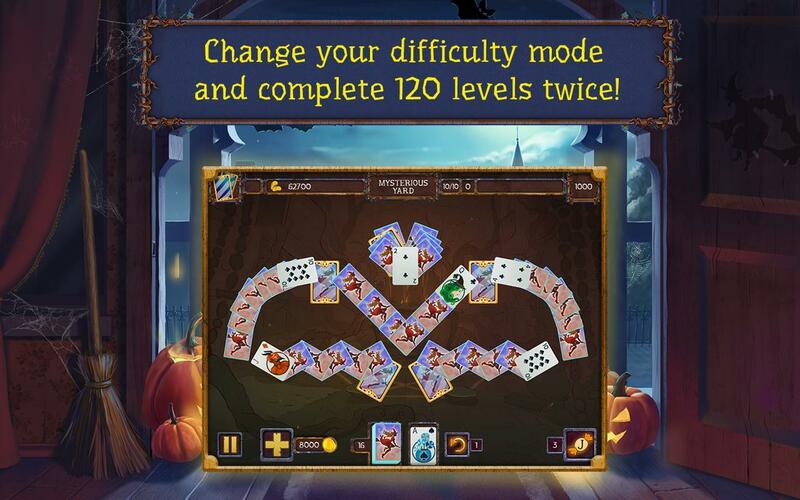 Classic solitaire with an original game mechanic – match pairs of cards! 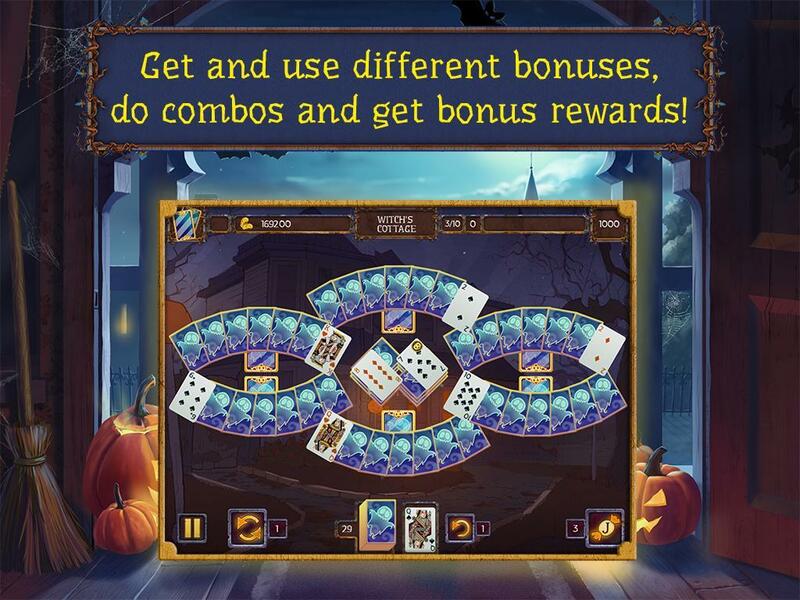 A special multiplier will increase your reward if you find card pairs fast. 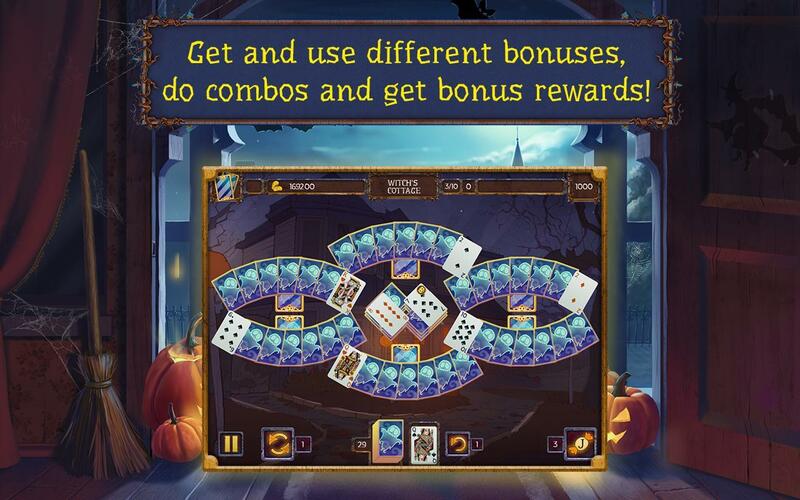 Buy bonuses for your reward: mulligan, shuffle and joker. 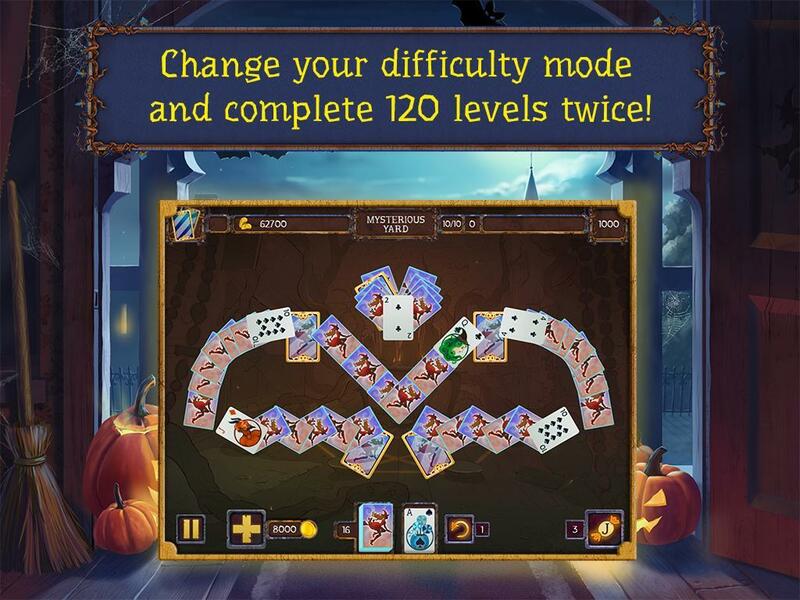 Choose your difficulty level or complete the game twice – Professional mode is a challenge to true fans of solitaire! 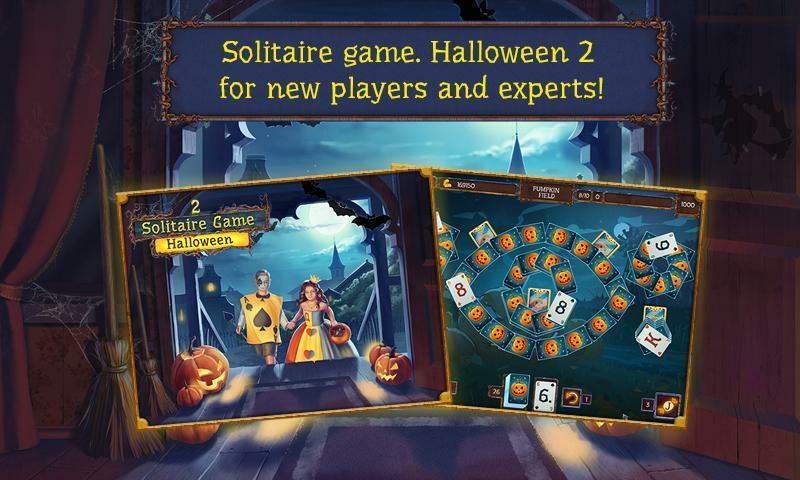 Solitaire game Halloween 2 is a horror story for Halloween night and a game for connoisseurs of classic solitaire and anyone who likes unusual twists on a classic game. 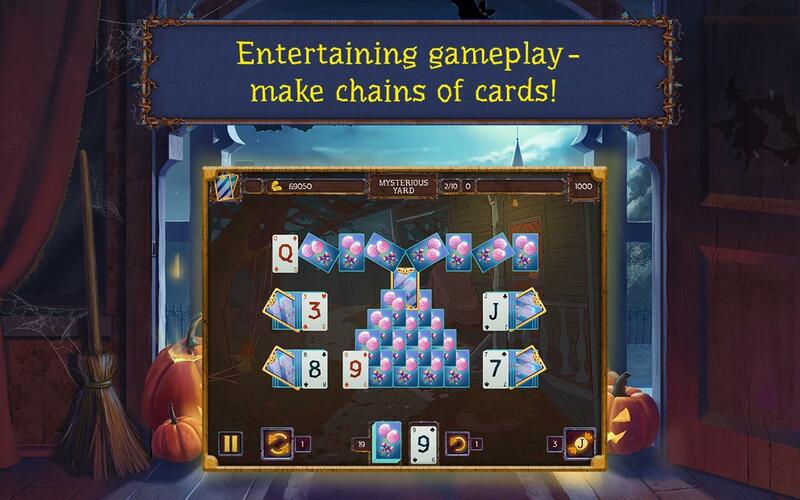 The playful themed music and premium-quality graphics will help you get into the spirit of Halloween. 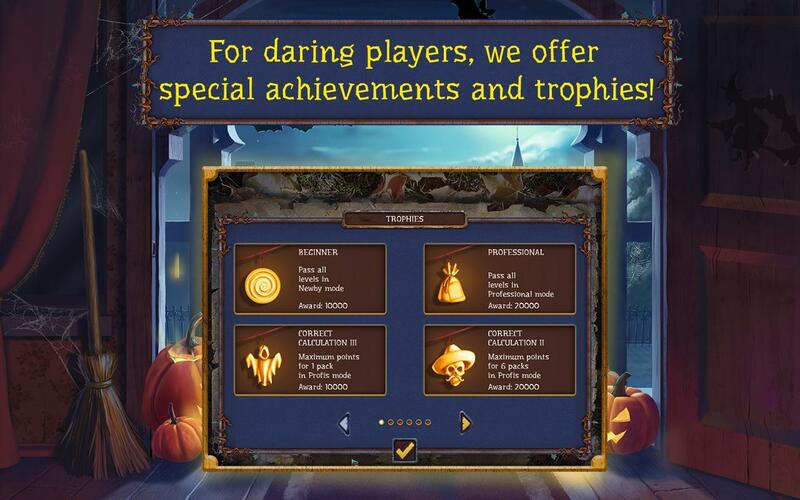 Sinister pumpkins, amiable ghosts, black cats, vampires, a haunted house and witches. 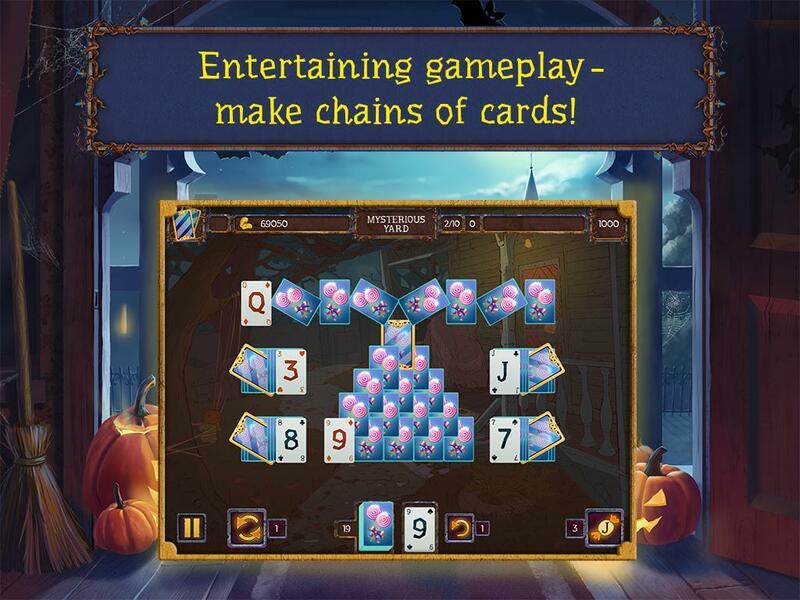 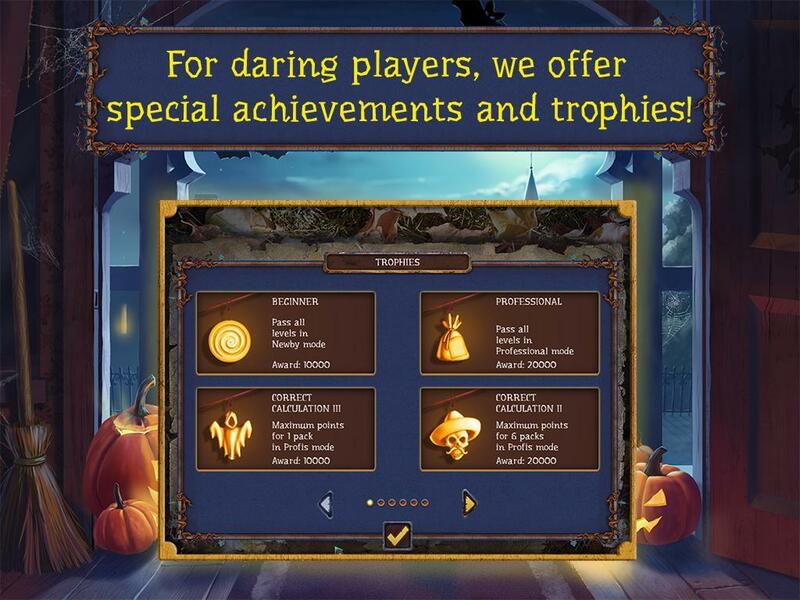 All this awaits you in Solitaire game Halloween 2! 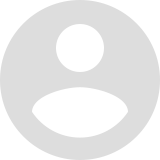 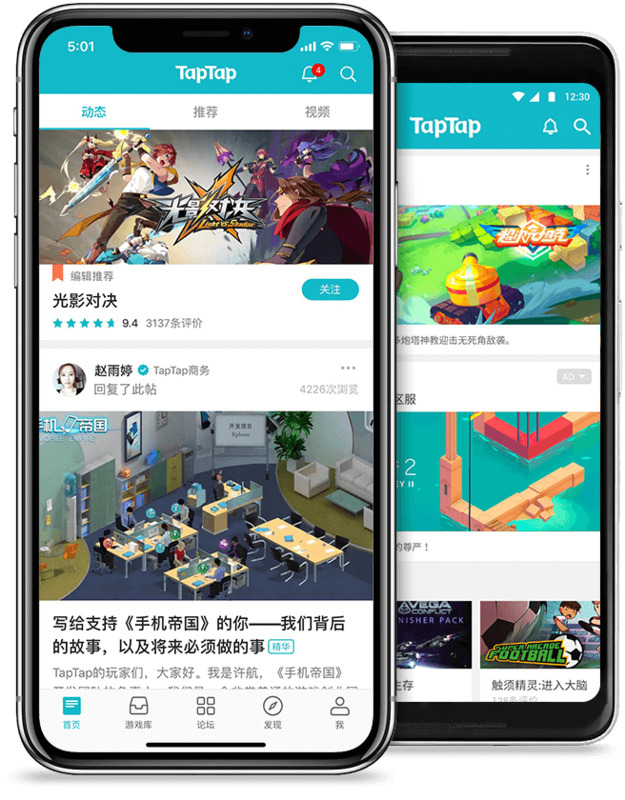 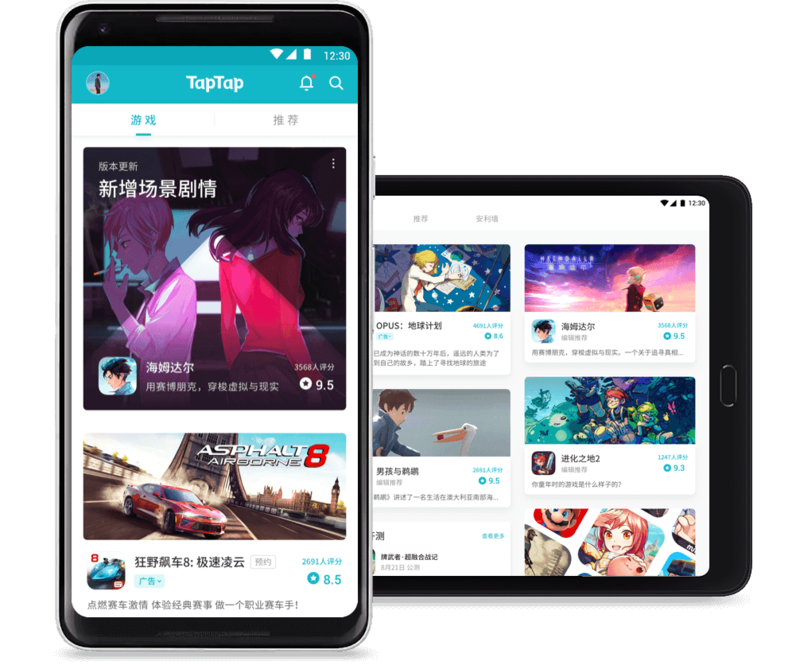 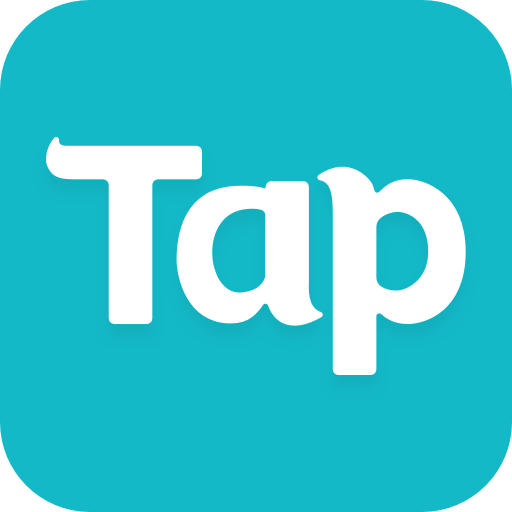 - Make any purchase – turn off ads!